Fresh peas are sweet, plump, and taste like spring. Once they are past their prime, they turn mealy and bland. When are peas in season? Most varieties of peas are in season starting in April and ending in November on the west coast. Other areas have a season that typically starts a month later and ends a month earlier (from May through October). However, peas do best before it gets too hot, so look for them at the farmers market in spring and early summer. 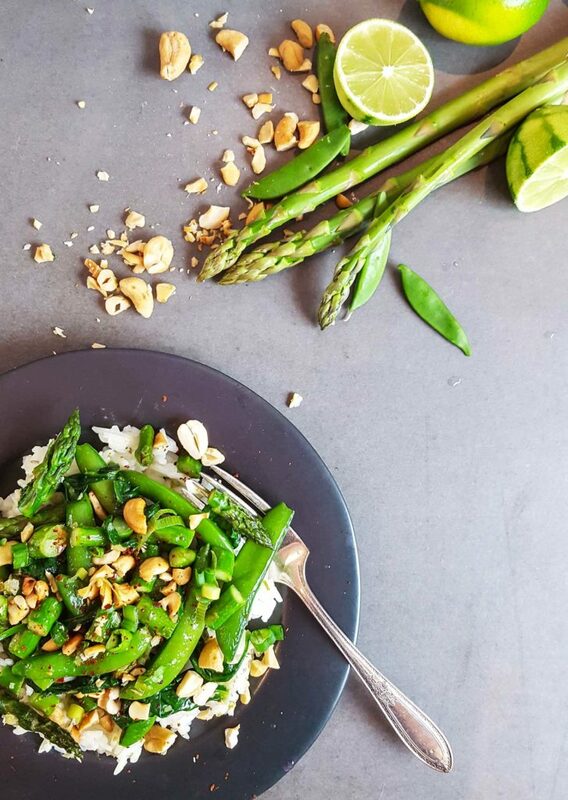 Snap peas and snow peas are often more common at farmers markets, as a lot of people don’t buy shelling peas because of the extra time required to shell them at home. See what else is in season at the same time: April, May, June, July, August, September, October, and November. To pick the best ones, look for plump pods that have no wrinkles. A shriveled pod indicates that it has dried out or is over ripe, in which case the sugars turn to starch. White scarring on the peas is ok, it’s not an indication of quality. To store peas, place them in a plastic bag, in the crisper drawer of your fridge (which helps keep from drying out). They will last a few days or up to 1 week. The pesticide levels found in peas from the EPA tests are low, putting them near the same levels as organic. 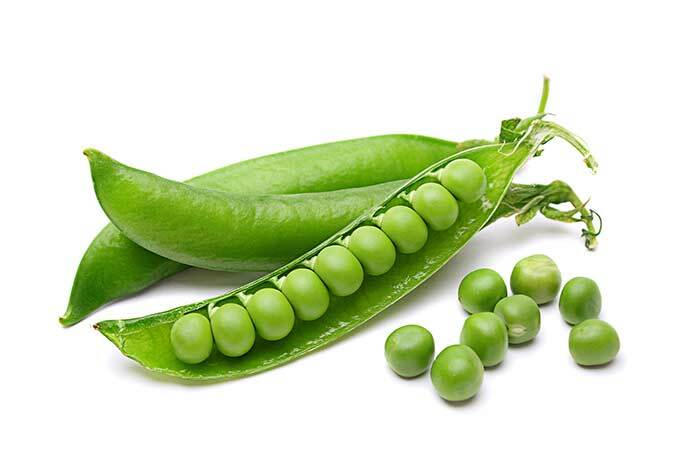 However, it is unclear if only shelling peas were testing, or is snap peas and their edible pods were also included in the research. Consumer reports published an interactive infographic based on EPA pesticide tests if you want more information. Now what should I make? That’s a good question! 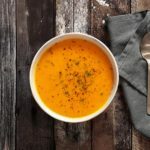 I scour the internet to find recipes that use fresh, seasonal ingredients, often with a fun twist. Follow Ask The Food Geek on Pinterest or Facebook to get access to the recipes I find every day. 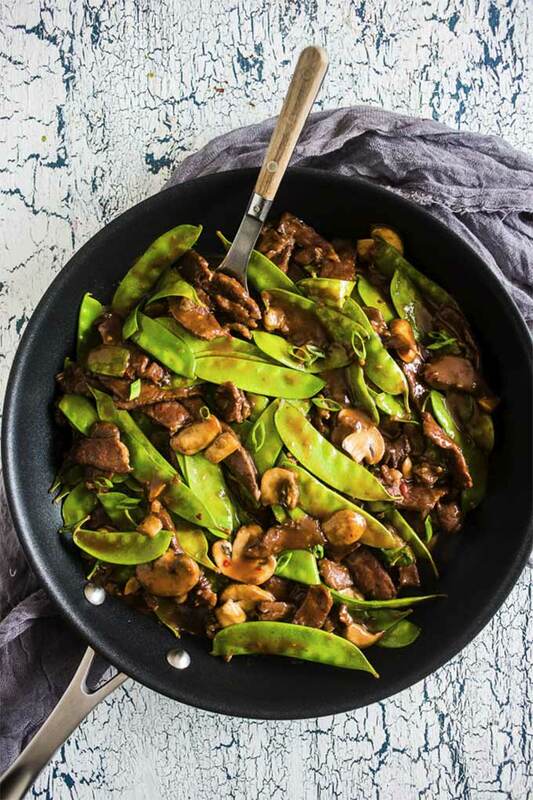 Each recipe in below only uses ingredients that are in season at the same time as peas, or ingredients that have a year-round season. Since their season overlaps with the beginning or end of other fruits and vegetables, the recipes are grouped into early season, late season, or anytime they are available. 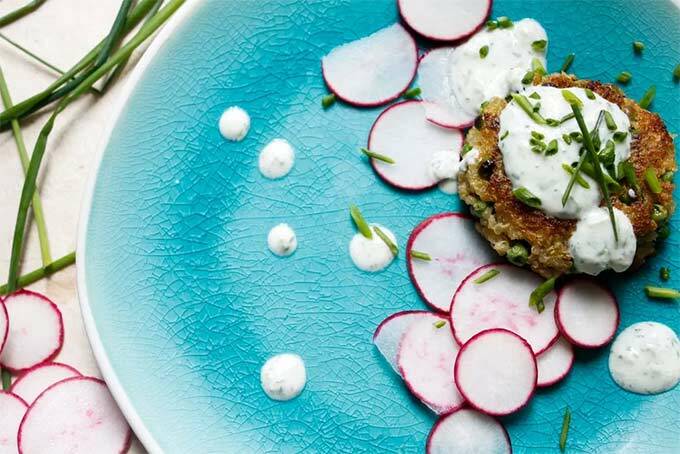 These are perfect any time peas are in season, as the other ingredients are available year-round. 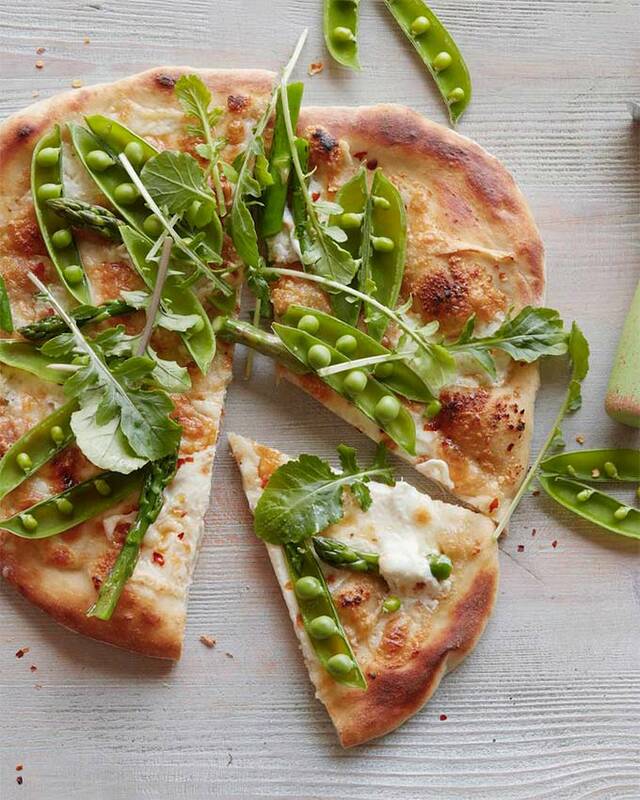 Eat this in spring when both peas and asparagus are in-season (asparagus season ends usually sometime in June). Get seasonal recipes every month! Ask The Food Geek is a participant in the Amazon Services LLC Associates Program, an affiliate advertising program designed to provide a means for sites to earn advertising fees by advertising and linking to Amazon. I only link to products that I hand-pick and personally like.